Bengal Warriors continued their hot streak in their home leg as their beat Telugu Titans 39-34 in Vivo Pro Kabaddi Season 6. 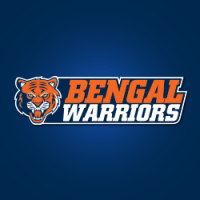 Bengal Warriors got their campaign of Vivo Pro Kabaddi Season VI with a win as they outclassed Tamil Thalaivas 36-27. PARDEEP NARWAL once again showed why he is considered the best raider in the business as he scored 23 points and reached 350 raid points in the season in Patna Pirates’ 47-44 victory against Bengal Warriors in Qualifier 2 of season 5.